Darius Bost is Assistant Professor of Ethnic Studies in the School for Cultural and Social Transformation at the University of Utah. 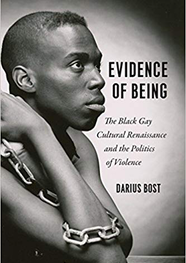 His first book, Evidence of Being: The Black Gay Cultural Renaissance and the Politics of Violence (Chicago, 2018), is an interdisciplinary study of black gay arts and activism in Washington, D.C., and New York City, from the late 1970s to the mid-1990s. In his State of the Union address on February 5th, 2019, President Donald Trump surprisingly included a plan to eliminate HIV/AIDS in his budget: “My budget will ask Democrats and Republicans to make the needed commitment to eliminate the HIV epidemic in the United States within 10 years. Together, we will defeat AIDS in America.” The inclusion of HIV/AIDS in his address came as a surprise to many because one of President Trump’s first actions upon arriving at the White House was firing all 16 members of the Presidential Advisory Council on HIV/AIDS. Though President Trump reinstated this council 15 months later, his initial actions were indicative of his longer record on HIV/AIDS. The AIDS Coalition to Unleash Power (ACT UP)--New York held many direct-action protests, including one at Trump Tower in October 1989. Roughly 100 protestors gathered to protest the 6.2 million-dollars in tax abatements Trump received to build the mixed-use, high-rise property at a time when those stricken with AIDS were increasingly vulnerable to homelessness. Protestors saw Trump Tower as a symbol of corporate greed and argued that state monies could have been used to build more housing facilities for those impacted by AIDS. Creative writer, activist, and scholar Sarah Schulman has written that the rise in sudden deaths of gay men during the early era of AIDS hastened gentrification in New York City—their absences from rent-controlled apartments and their partners’ lack of access to inheritance claims accelerated the conversion of these apartments to market-rate rents. The early AIDS crisis facilitated changes in the constitution and character of New York City neighborhoods, linking it to larger trends in gentrification that have shifted the racial demographics of inner cities from ethnically and class diverse to more homogenous, middle-class, and increasingly white enclaves. Trump’s plan to end AIDS within this decade also came as a surprise given his abandonment of his mentor Roy Cohn after rumors spread publicly that Cohn was dying of AIDS. It was Cohn’s ruthless business tactics and genius maneuverings around legal loopholes that helped Trump secure the tax abatements to build Trump Tower. Cohn had cut his teeth in politics as Senator John McCarthy’s chief counsel during the Army-McCarthy Hearings in 1954. Cohn became a power broker in local New York City and federal politics, and in 1971 represented Trump when he was accused of violating the Fair Housing Act in 39 of his properties. Trump’s organization was accused of quoting different rental terms and conditions and asserting false claims of “no vacancy” to African Americans looking to rent apartments in his Brooklyn, Queens, and Staten Island properties. Under Cohn’s direction the Trumps countersued the government for $100 million dollars for defamation, and were able to settle the lawsuit against the Trump corporation by agreeing to stipulations that would prevent further discrimination, thereby not having to admit guilt. 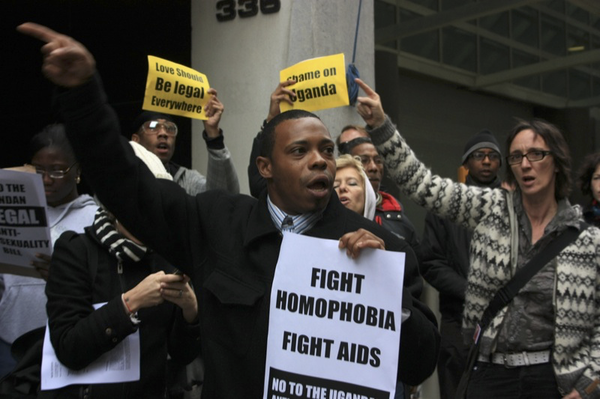 Trump’s record on AIDS and racial and sexual discrimination make his 10-year plan even more surprising since the face of the U.S. AIDS epidemic is primarily black and Latina/o, especially gay, bisexual, and transgender blacks and Latina/os. In January 2019, the Black AIDS Institute (BAI), a Los Angeles-based, national HIV/AIDS think tank focused on black people, expressed their dismay when the Trump Administration proposed a change in “protected class status” under Medicare, which has allowed people living with HIV to access better medical care. In their response to his State of the Union address, BAI questioned President Trump’s intentions, since he has repeatedly sought to cut the President’s Emergency Plan for AIDS Relief, better known as PEPFAR, a multi-million-dollar initiative which has been credited with saving 17 million lives around the world. Moreover, they indicted the President for his racist and homophobic rhetoric, which has fueled an increase in violence against black and LGBTQ communities. One of the suggestions BAI made to move Trump’s plan from words to action was to center leadership from communities most impacted by HIV. Indeed, Trump’s proposal to end AIDS by targeting geographic and demographic “hot spots” in seven states, 48 counties, Washington, D.C., and San Juan, Puerto Rico, comes as part of a budget plan that would eliminate funding for global AIDS programs, slash expenditures on the Centers for Disease Control and Prevention, while transferring the management of Medicaid through block grants to states, comprising an overall cut to spending on health and human services. This plan proposes to end health inequalities at the local level while threatening to reproduce broader social inequalities at the state, national, and global levels. Though Trump’s plan of action challenges Beam’s narrative of state apathy by continuing the contradictory record of state action that began with President Ronald Reagan when AIDS first appeared, Beam’s caution suggests that our efforts to end HIVAIDS in poor communities and communities of color across the globe must not depend solely on federal or state bureaucracies. Instead, this history suggests that plans to eliminate HIV/AIDS must be centered on community care and responsibility, and political action aimed at transforming the conditions of structural inequality that President Trump has perpetuated throughout his career.